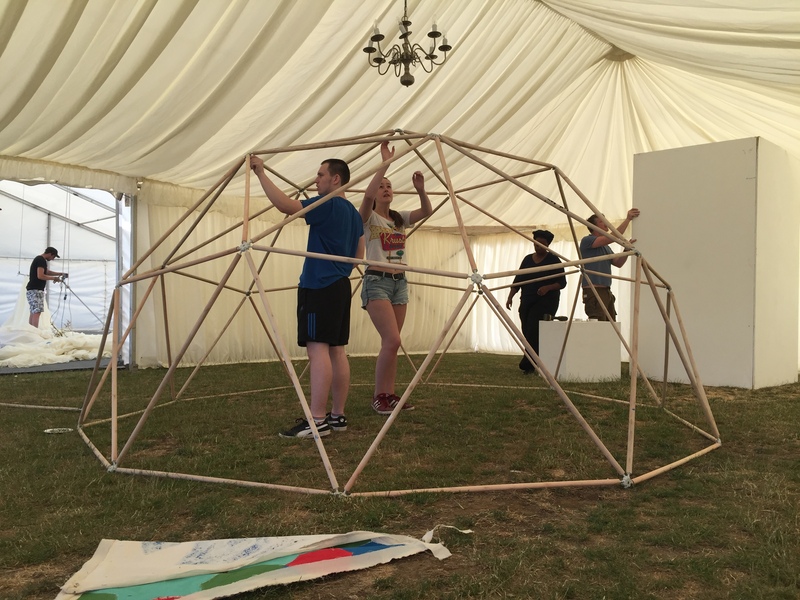 Geo Art Dome Project: Milton Keynes engineering and carpentry students (diverse in culture and gender) worked with MKIAC staff to build a geodesic dome.Students had the opportunity to mix with different cultures in the preparation and installation of the dome at the Festival site. The Dome represents One Journey: Connecting Communities, enriching lives through arts and culture. 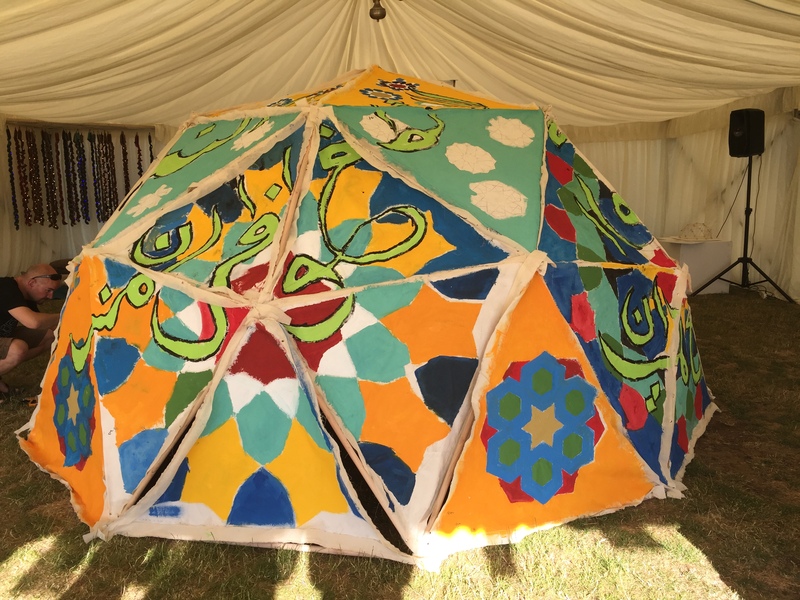 The Dome uses natural themes of the environment and embraces the Islamic Art of Geometry, Calligraphy and Scripture. Samir Malik a talented artist, calligrapher and designer, supported by Maryam Smit MKIAC resident artist have combined their artistic skills to create this breath taking installation. Members of the public were able to participate by painting canvas panels to complete the work.